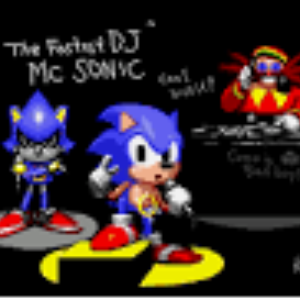 Motobug the Badnik in Sonic the Hedgehog | SSega Play Retro Sega Genesis / Mega drive video games emulated online in your browser. 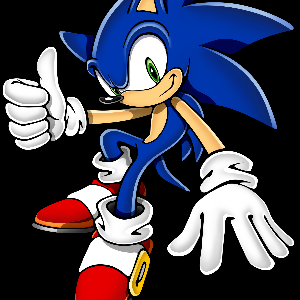 Motobug the Badnik in Sonic the Hedgehog (aka Motobug in Sonic 1) is a hack of Sonic the Hedgehog for the Sega Mega Drive, by Polygon Jim. 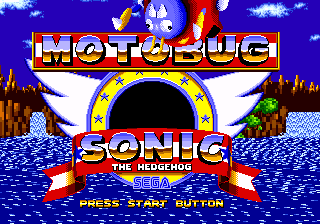 As its title suggests, in this hack the main character Sonic the Hedgehog is replaced by Motobug, one of Dr. Robotnik's badniks. 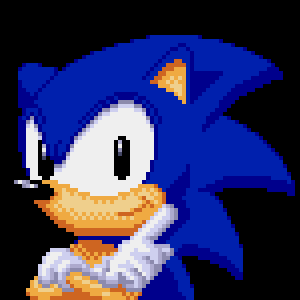 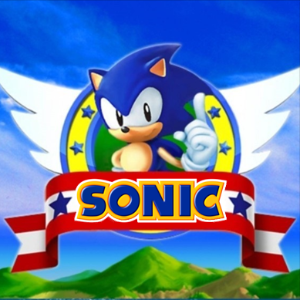 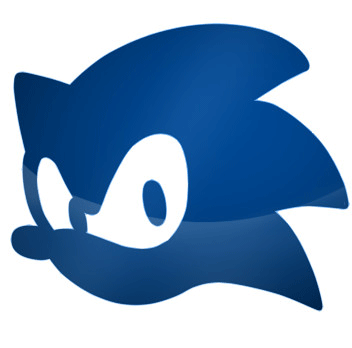 So far, some of Sonic's main sprites and animations have been replaced by those of Motobug, Motobug's speed has been decreased (except when powered-up by aSpeed Shoes monitor, which are more numerous), and the sprites of Roller badniks in Spring Yard Zone have been replaced by those of Sonic (referencing a common interpretation by fans that Roller is a robotic impersonation of Sonic, something that officially appeared in later games in the form of Metal Sonic and various others).